As an eye care institution founded on the noble principle of ‘Service to Mankind,’ and with the avowed objective of eradicating blindness from the face of the earth and bringing in the light of vision and joy into the face of the visually impaired, Sankara Nethralaya values only one thing perhaps even more than dispensing quality eye care - the wholehearted support and constant encouragement! that it has received in its pursuit from great and noble individuals. These compassionate and noble people shared its ideals and identified with its philosophy, helped in fulfilling its dreams, they cheered the institution in its long run and ran along with it as it crossed impressive milestones and celebrated its achievements as their own. While Sankara Nethralaya was the dream of a young idealist doctor with a passion to serve the underprivileged, driven by the words of a Seer and Saint, the dream became a reality thanks to the unconditional support and encouragement he received from these great individuals, generous and passionate men and women who subscribed to his views and empathized with his cause. Support from them came in the form of monetary assistance, guidance through sage counsel, creating awareness and winning support from like-minded individuals and volunteering their assistance in its various endeavours. Sankara Nethralaya continues to receive such valuable support for its noble cause with the blessings of the Almighty to this day, while the noble gestures of its well wishers are selfless and come with no strings attached, a highly moved and grateful institution decided that such acts of sacrifice and charity should not go unrecognized and deserve the highest honours. The Sankara Ratna and the Shrimathi M.S.Subbulakshmi awards were instituted as a high recognition of individuals who have contributed to the success and glory of the instution. 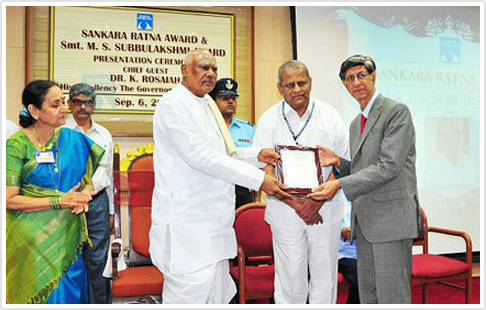 The Sankara Ratna Award was instituted in the year 2002 – 2003, the Silver Jubilee year of Sankara Nethralaya, it was instituted to recognize and honour an individual or an institution for its/their strong empathy towards its cause and sterling contribution to its growth and success. The award is a salutation to those individuals or institutions that have been a source of inspiration, encouragement, support and guidance to Sankara Nethralaya in its mission. 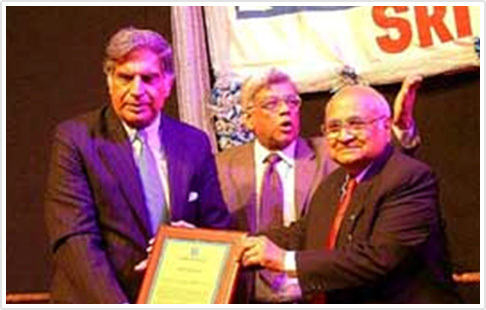 The award has been conferred on an annual basis since 2002-03 on individuals from a diverse background. An independent selection committee finalizes the selection of the awardee, employees of Sankara Nethralaya and members of the board are however not eligible for consideration for the award. 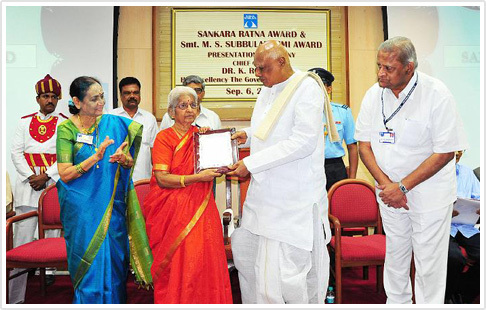 The Smt.M.S.Subbulakshmi Award was instituted in the year 2013 to commemorate Sankara Nethralaya’s 35th year of service, to recognize individuals who exhibited an undying spirit in serving the institution and supporting its service initiatives. This award is named in honour of a musical legend, a family friend of the Badrinaths and great supporter of Sankara Nethralaya and its philosophy who gave melody a divine and service interpretation, a “Voice for Vision” a virtuoso performer who raised huge funds through her concerts in India and abroad and continues to raise significant funds for Sankara Nethralaya’s indigent eye care initiatives through her immortal voice, by bequeathing the royalty accruing to her records to the institution she admired and adored. 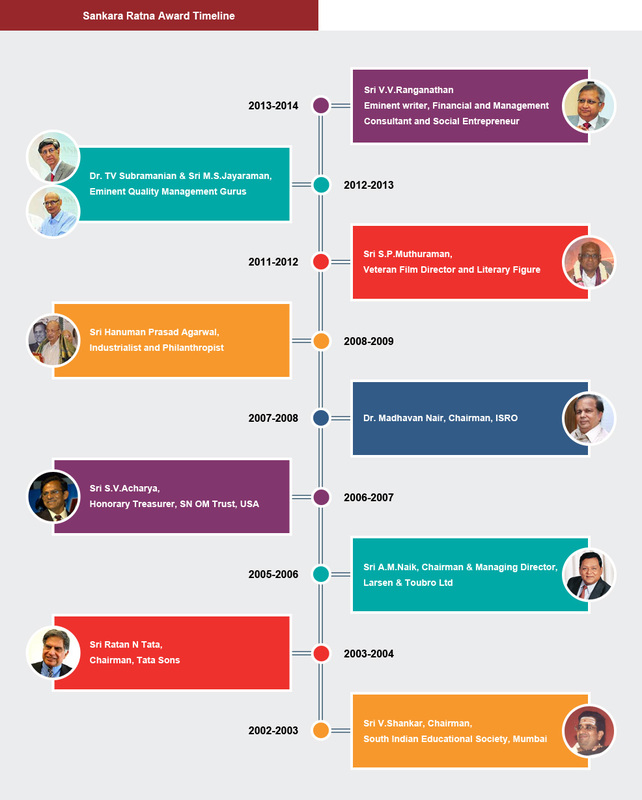 We take pleasure in sharing some glorious glimpses of the awards conferred so far. 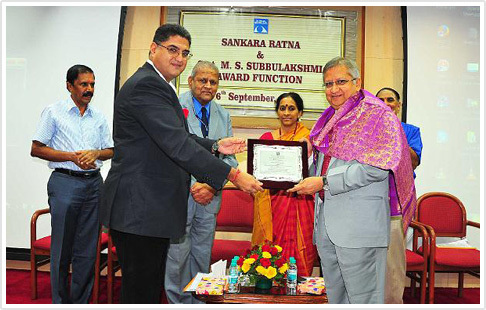 Sankara Ratna Award for the year 2012 was jointly conferred on Dr.T.V.Subramanian and Shri M.S.Jayaraman, eminent total quality management (TQM) gurus and Management Pundits, for their ceaseless efforts in streamlining and enhancing the systems and processes at Sankara Nethralaya, resulting in greater individual and institutional efficiency, leading to its accreditation by the NABH (National Accreditation body for Hospitals and Health care providers), the highest recognition for hospitals and health care providers in the country. former HR&CE Minister and religious and literary figure. Shri S.P. 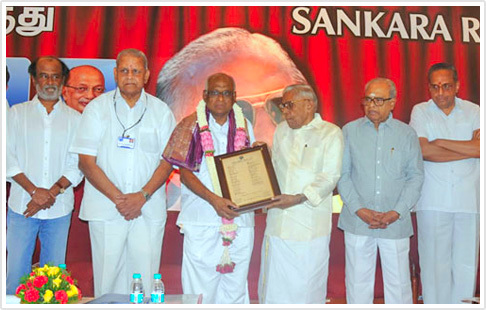 Muthuraman, eminent film and literary personality and long time friend of the institution was conferred the Sankara Ratna award for year 2011 for his immense contribution towards spreading awareness on the institution, through a high degree of professionalism, creativity and dedication, which resulted in Sankara Nethralaya achieving massive outreach, winning friends and supporters for its cause and monetary support. (General Secretary Ramakrishna Math and Mission, Belur). Shri. 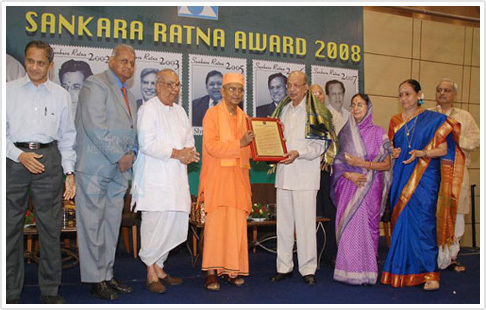 Hanuman Prasad Agarwala, leading Industrialist and philanthropist was conferred the Sankara Ratna Award for his generous and outstanding support of Sankara Nethralaya’s Kolkata operations and distinguished services, at a function held in Kolkata on August 16, 2009. 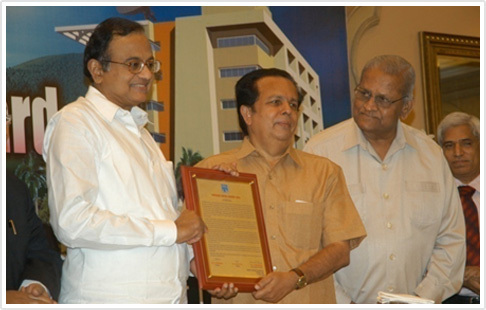 Shri Madhavan Nair was awarded the Sankara Ratna for his deep empathy towards Sankara Nethralaya’s cause leading to the ISRO extending critical satellite support for its outdoor community services. Shri S.V. 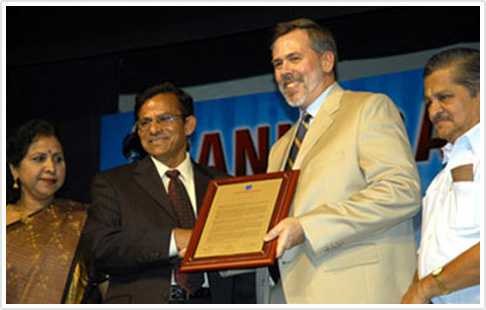 Acharya Founder&President, Sankara Nethralaya Ophthalmic Mission Trust Inc, USA was conferred the Sankara Ratna award in 2006, for his pioneering, dedicated and outstanding work towards winning support for Sankara Nethralaya in the USA, through the Sankara Nethralaya Ophthalmic Mission Trust Inc, USA, resulting in spreading awareness about Sankara Nethralaya, winning friends and significant monetary support from Indians living there. 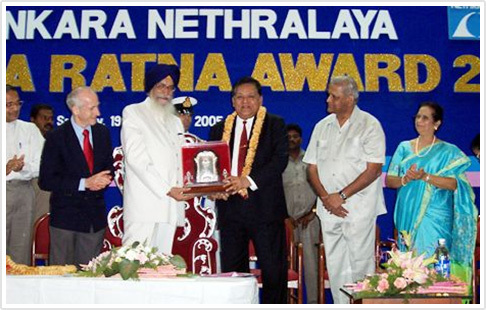 Shri Ratan Tata was awarded the Sankara Ratna for his deep involvement and encouragement towards Sankara Nethralaya’s research and community service initiatives and significant monetary support for the same by his institution. 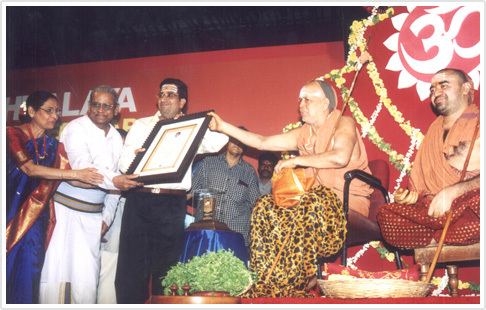 Shri V.Shankar Trustee, South Indian Education Society (SIES) was conferred with the first Sankara Ratna award in year 2002 by His Holiness Jayendra Saraswathi Swamigal, the Pontiff of the Kanchi Kamakoti Peetam. Shri V.Shankar was awarded the Sankara Ratna award for his high degree of dedication to the cause of education and his identification to its philosophy, humility, compassion and readiness to support a noble cause. Shri S.Rajarathinam and Shri K.S Jayaraman, Directors of Autotech Industries and long time friends and supporters of Sankara Nethralaya were conferred with the Smt M.S. 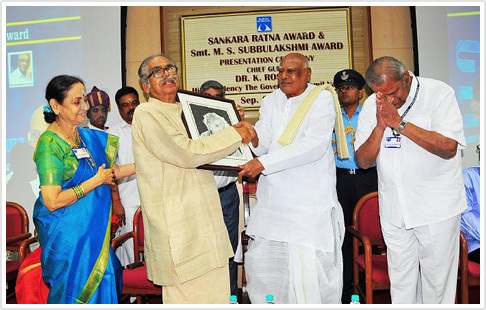 Subbulakshmi Award for year 2013. Shri K.S, Jayaraman and Shri S.Rajarathinam were awarded the Smt M.S. 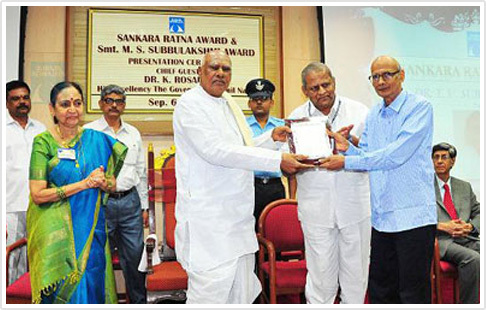 Subbulakshmi Award for their consistent and generous support of Sankara Nethralaya’s cost free community services and in recognition of their most humble and unassuming philanthropy and boundless compassion and their charity and generosity which epitomize the biblical saying ‘Do not let your left hand know what your right hand is doing’. on Shri Manohar Devadas and Shrimathi Kausalya Appukutty. 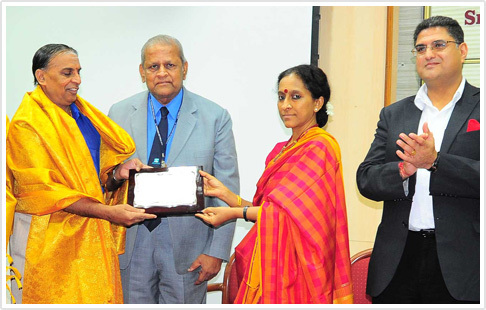 Smt.Kausalya Appukutty was awarded the Smt M.S.Subbulakshmi award in high recognition of her tireless services to the cause of Sankara Nethralaya through the Sankara Nethralaya Women’s Auxiliary of which she is a founder and trustee.